To repeat last year's triumph, R/GA tried a new approach for "Love has no Labels"
When the "#LoveHasNoLabels" campaign from The Ad Council debuted in February 2015, the message was simple: no matter what people look like out the outside, they’re the same on the inside. It was wildly successful. Nearly a year-and-a-half on, the first activation — the "skeleton video" — has received more than 57 million views on YouTube. So when R/GA began working on a follow-up, the creative team knew they needed to do something different. The resulting ad, released on Independence Day, kicks off this year's "We are America" campaign and appears to be a complete departure in direction from the original film, an unscripted public activation set against a pop soundtrack. 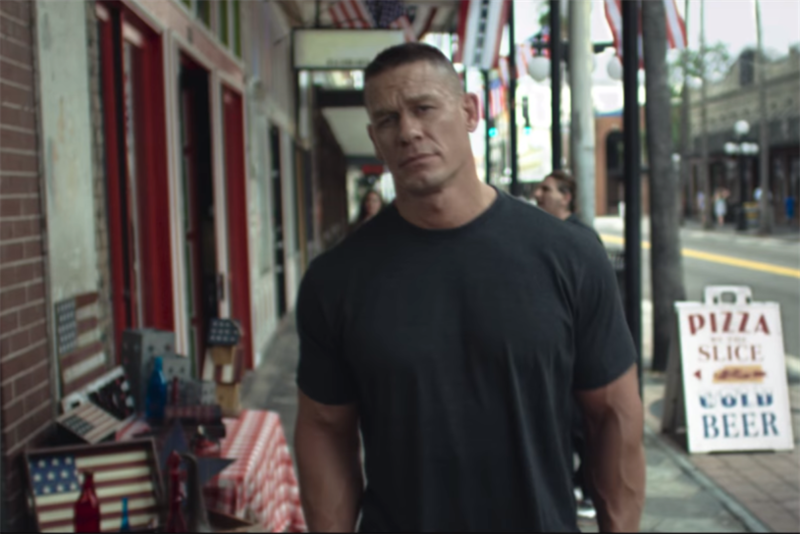 This time around, wrestling superstar John Cena delivers a 4-minute monologue on patriotism and American demographics while striding through the streets of a small town. But the message, values and purpose of the new spot closely match the first. They form a cohesive pair, unalike but akin. Diverse. "The first film was such a success, we didn’t want to be competitive with it," said Eric Jannon, group executive creative director at R/GA. "The goal was the very same message of diversity and inclusion, so to reach a big audience again we needed a different approach." "Love Has No Labels" is starting to become its own brand, said Chris Northam, also a group executive creative director at R/GA. "This is the difficult second album in some ways." So far, the sophomore release has been well received, with 25 million online views, according to Heidi Arthur, SVP, group campaign director at The Ad Council. "We have seen comments from people all over the country talking about how this message is unifying and essential," she said. The first video, which showed a crowd’s reaction to closely linked couples whose identities were obscured by an X-ray wall, was tied to Valentine’s Day, so the creative team looked for other opportunities on the calendar for the next chapter of the campaign. "Independence Day came up, and that really led to this conversation around patriotism and what’s going on out there in culture right now," Northam said, referring to the political landscape. "The dictionary definition of patriotism is love for one’s country," he said. "Love is the keyword of our campaign." But delivering a message about patriotism and love in an election year required the right spokesperson, one who couldn’t be easily dismissed by people who most needed to hear the message. Enter John Cena. The 251-pound, 15-time wrestling world champion is popular among Americans on both sides of every issue. He pins heavy men in the ring and has starred in multiple action movies. But he’s also granted the wishes of more than 500 terminally ill children for the Make-A-Wish foundation and has served as Grand Marshal of the Susan G. Komen Race for the Cure. Cena also has his own internet meme, in which he appears suddenly in unexpected places, so he was a fitting choice. WWE, the wrestling organization Cena competes in, has been working with the Ad Council since 2014. "We all thought John Cena was the perfect person to deliver this message. He’s an iconic all-American and a relatable and trusted voice that resonates with so many people throughout the country," said Northam. "When the opening word is patriotism, we want the audience to nod their head and go, ‘Yes, I see where this is going.’ " The twist also served as a callback to the first video, which relied on the unexpected reveals of the skeletons’ owners. The Cena spot has a more direct message than last year's effort. Patriotism is a "layered" concept, Northam said. 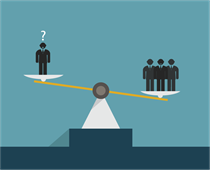 In a cultural conversation rife with division, derision and angry rhetoric, some people needed the sentiment spelled out more explicitly. The power of the skeleton video lies in the visuals of the activation itself. But Cena gives a speech, walking viewers through the idea as implacably as he walks through town. Patriotism is love of country. A country is made up of people. So who are these people, and what do they look like? Loving a country means loving its people, he says in the ad. The power of the Cena video lies in his persona. "Just being exposed to someone like John Cena delivering a message like this makes some of the subject matter he’s talking about not seem as foreign or controversial," Northam said. "Executions like this go a long way to eroding those perceptions." It is fitting that the team responsible for this spot is a melting pot of nationalities. Northam is from Australia; Jannon is from France. New Zealand and, of course, the United States are also represented. "We have been welcomed here," Jannon said. "Diversity and generosity is everything we love about America, so we hope that comes across in the film." "#WeAreAmerica" will continue with additional activations throughout the year. Launch partner Upworthy is developing a video series for the campaign, Arthur said. And R/GA’s work isn’t over, either. Beginning next week, the agency is releasing out-of-home ads featuring portraits of diverse people "with the American stars and stripes as a unifying symbol," Arthur said. "They are a beautiful part of the 'We Are America' campaign."